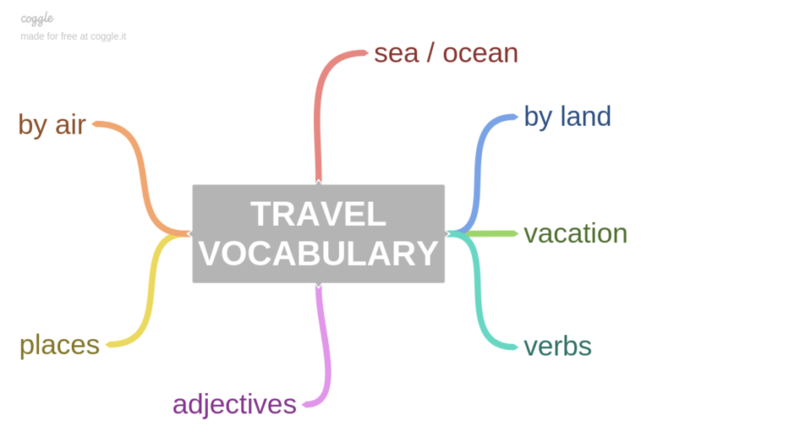 Do you like to travel?? -Definitely! I would like to visit different places, experience other cultures and try different food and dishes. -Actually, I have never been out of my country. But I have visited a lot of beautiful places and tourist spots in different regions in my country. – Well, of all the places I would like to go to, I would really like to visit Paris. They say it is a very romantic place especially at night, so I would like to take a walk in the streets of Paris at night. –The best place I have visited so far is Legazpi, Albay, Philippines with a very beautiful view of the majestic Mayon Volcano, the perfect cone-shaped volcano. –I would prefer to travel by train on long journeys. I can relax and at the same time look at the nature during the journey. I will talk about an interesting journey I had with my family last year. My mom, brothers, sisters-in-law, nieces and nephew and I went together. We went to several places in two days. We went to a beautiful beach in a virgin island, and then visited a lake, a bee farm and another beach that is popular for being a surfing spot. We started to travel early in the morning. We rented a van. We reached our first destination which was a white sand beach after about 2 hours of travel by car and about 20 minutes by boat. We spent overnight in the beach and headed to a bee farm the next day. It took us about an hour to reach this place. After few hours, we went to see the lake which was just close to the farm. We did kayaking in the lake which was my first time. We had lunch in there. Then, we travelled about another hour to go to a popular surfing spot. My brothers and I tried surfing but it was quite difficult for me even if there was a trainer. This journey is very memorable because we were able to visit many beautiful places together. I can also say that it has been a long time since all of us gathered to have such trip. We had a great time. We had fun with the activities as well. We took great photos and everyone was really happy. Well, in my opinion, travelling by train is the safest. So far, it is the means of transportation that I almost never heard of being in an accident. Since it has its own railway, it does not have much chance to come across with other vehicles that could collide with. I think most accidents that happen with trains are due to mechanical or technical issues which could be avoided if the system is being checked and monitored properly. I think so. With the presence of modern technology, I think travel has become safer in recent years. Since we now have access to more tools and infrastructure, transportation system as well as travel has been improved. For example, roads are better, wider and more accessible; therefore, accidents can be avoided. Low-cost air travel allows us to save money. With this, we can travel more and we can allot our budget to other expenses. However, with low-cost air travel, our convenience and comfort may suffer. Because it is cheap, meals and baggage fees may not be included. The plane might be old and seats may not be that comfortable. There is also a possibility of poor service such as being assigned to a cheap airport or poor customer service. Transfer times cover the average period taken from leaving the airport to arriving in your resort. The plane about to take off from Nice, heading for Luton airport. An hour later than planned, the plane took off. The plane landed safely with the remaining engine. You can still use self check-in if you are travelling with hold luggage. Tasman made several voyages to the Far East. The wooden ship took fifteen days to make the crossing to America. There are many lakes and rivers where you may fish, canoe or sail. I also have a 30-foot cruising sailboat. Because our town is a port, and because it has two rivers, there are often many people from other lands here. We caught the overnight ferry from Birkenhead to Belfast. The distinction between ocean liners and cruise ships has blurred, particularly with respect to deployment. There is also boats available for hire. The New York City subway system is one of the world’s largest. The London underground is like a moving public thoroughfare. It’s in a quiet residential area close to the tube. London is 80 minutes away by shuttle service, with trains every 30 minutes. Summer holidays often mean hours stuck in traffic in a hot car. Follow the road down to Clanbrassil Street. Probably the most famous landmark along the railway is Ribblehead Viaduct with its 24 arches. Take a hike on some of these tracks. The tour involves staying in camps in the mountains. We found that people were taking fewer vacations and spending more time in one destination. My wife Jen and I visited Borneo in March 2004, as part of a longer trip including Thailand and Nepal. Travelers really need travel agents for complex trips. International travel, was catastrophically affected by the September 11th attacks on New York. Many areas have important natural features which serve to attract tourists. She has a whole suitcase of shoes. The driver must take you to your destination by the shortest possible route. Find a rock every time you go camping and write a memory on it. We will make all your hotel bookings and arrange the tour for you. It is widely known the fact that hostels are cheaper than hotels. During the course of one week four hundred guests were booked into a hotel. On Saturday I took the opportunity to go sightseeing. During the trip the pupils will go on several excursions. It took us five days to reach our destination, Ban Pong , 30 miles north of Bangkok. In order to go abroad, one has to start from the scratch and work accordingly. There is no booking fee when you buy tickets in person at the galleries. He began his journey to the ruin of ancient Loulan City, accompanied by five cameramen and two local guides. I love seeing the world and getting to know it’s people. In the Chinese countryside, nobody seems to know where anything is. Stav and I are off to Sharm to go scuba diving and lounging around in the sun. Touring motorcyclists are supposed to get lost. I will never forget incredible adventure activities we experienced during the trip. New Zealand recognises its indigenous people in its constitution. head all the way to the top for a fantastic view of the city. At any time of year, a visit to Durlston is a memorable experience. It has been a tiring journey, and I shall sleep well tonight. I am a teacher in a local high school and our hobbies include hiking and photography . Australians experience a safe lifestyle. When travelling near crocodile habitats, observe safety signs and don’t swim in rivers. You can safely enjoy New Zealand’s unique landscapes. As you travel the mountain roads look out for the monuments in memory of 1944. 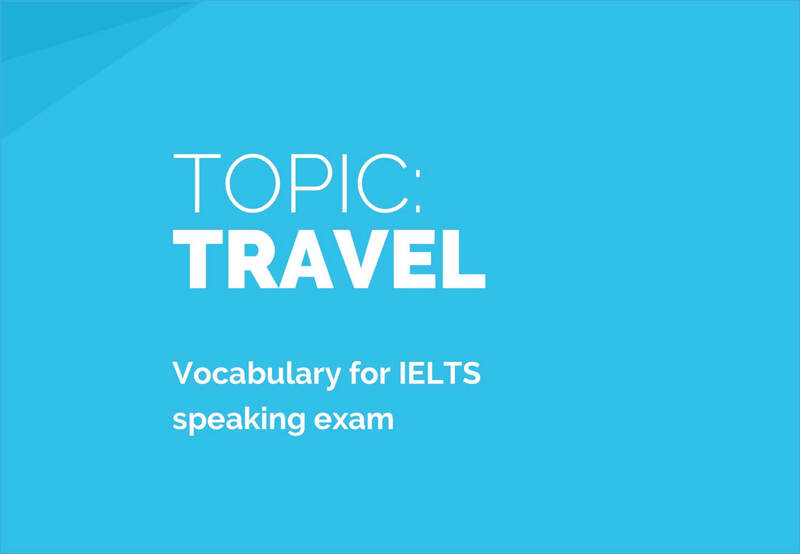 What is your current level in IELTS? Are you ready to take an exam? You can do a mock test to answer those questions. You can try them on my website. There are both free and paid options.